I’ve got LOTS of thoughts and ideas for a baby nursery swimming around in my head and decided to put them down on some visual boards. The nursery will be in the room we currently use an an office, because it’s the slightly larger and brighter of our two extra bedrooms. (The blue guest room – which is no longer blue as of yesterday – will be the new office.. more to come). The nursery-to-be is already painted a soft grey I really like for either nursery plan I’ve got (girl or boy). Dad’s a pretty outdoorsy fella’ and I like to think a little mini-man will love camping and learning about nature and animals. 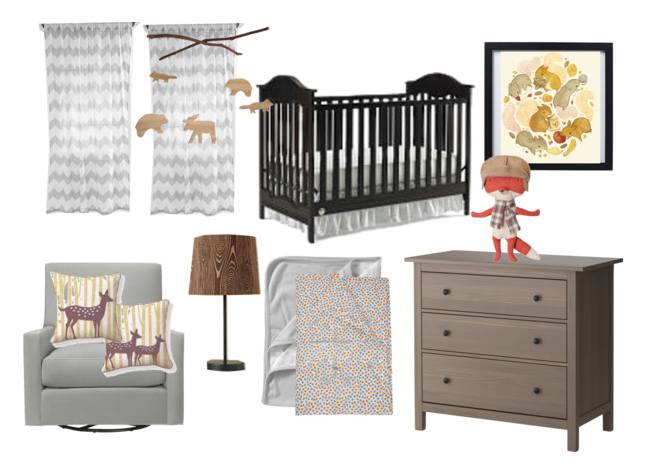 I like a (not too crazy-committed) neutral woodland adventurer motif with soft colors, natural elements, and fun little whimsical animal additions. The little fox, mobile, print and pillows are all Etsy finds. For more info on where to find these things, check out this board. No over-the-top girliness, but still very feminine, I want to use a mixture of patterns in pastels, brights, and black & white for an eclectic but calming vibe. With a larger bed, I’d live in a room like this myself! Again, several Etsy finds on this board, but mostly for DIY inspiration. Here’s the board. I both cases, the room could evolve with a growing free-spirit. I can’t wait to find out if we are having a girl or boy so I can begin the first of many DIY projects for baby! 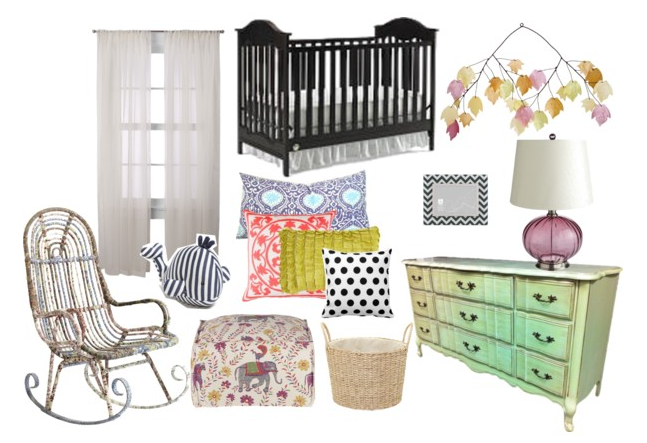 Parents, what are your must-have nursery items? Ooh. I love these. My must-haves are blackout curtains and a comfy rocker. And a fan (for white noise and air circulation). Happy planning! Next Next post: it’s a girl! !